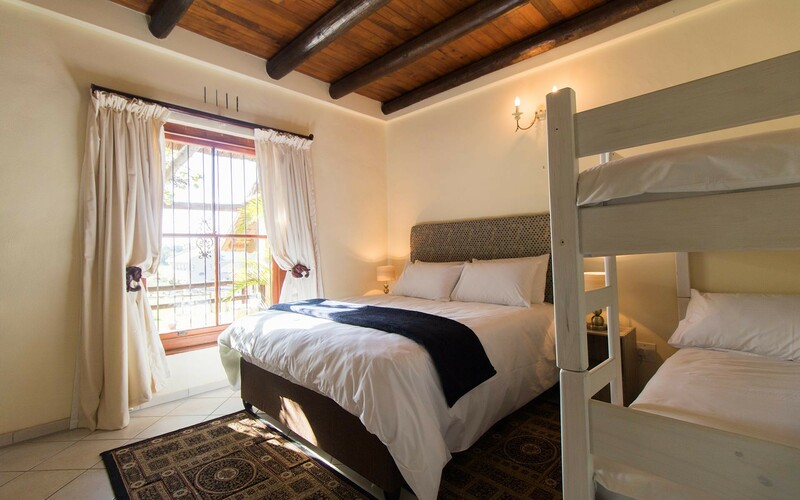 The Haveli is a family-owned self-catering guesthouse, located off Sir Lowry's Road on the way to Gordons Bay Beach. 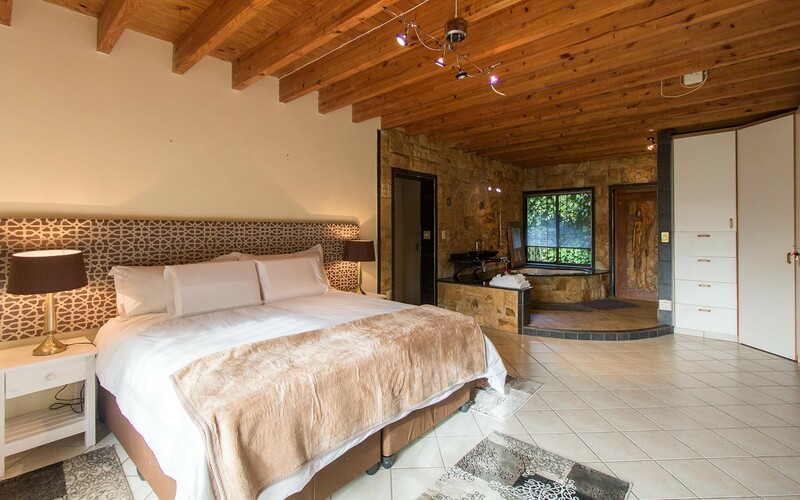 The Main House accommodates up to 12 guests, and comes with everything you need to make this place a home away from home. 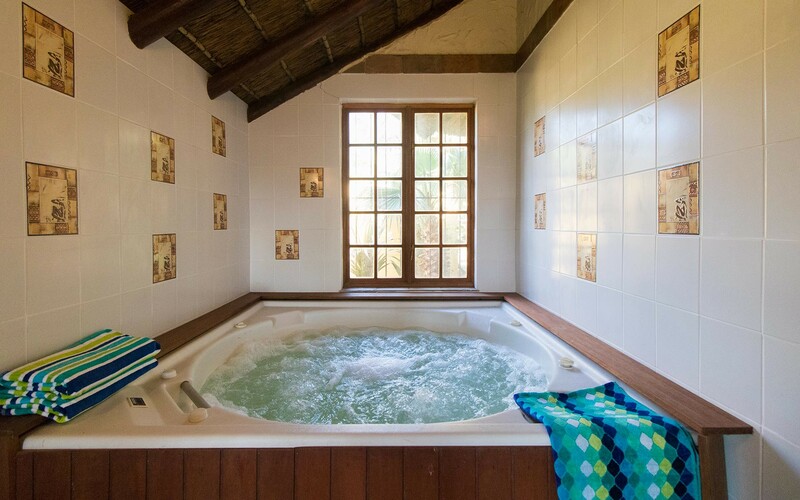 The estate comes with your own swimming pool, sauna, hot tub, outdoor entertainment area, large open spaces and a short distance to the beach. 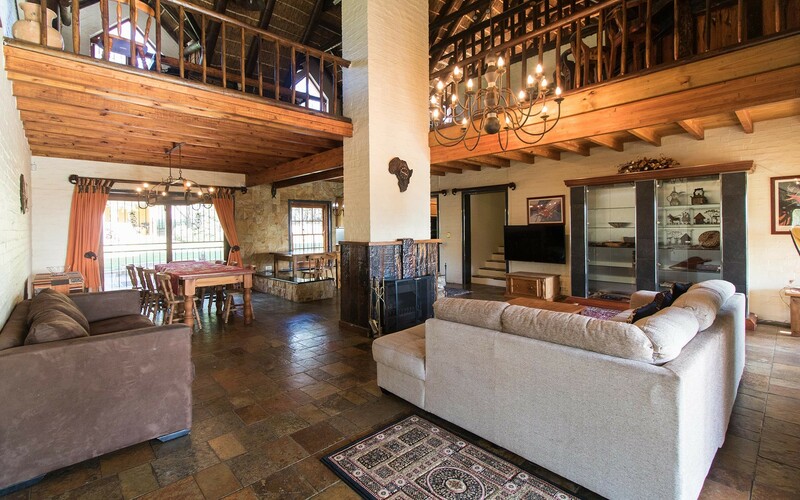 Relax in the African themed house, with traditional thatched roof, high ceilings with exposed beams, commissioned wood carvings, heated flooring in the bedrooms and an entertainment area upstairs to keep you busy. 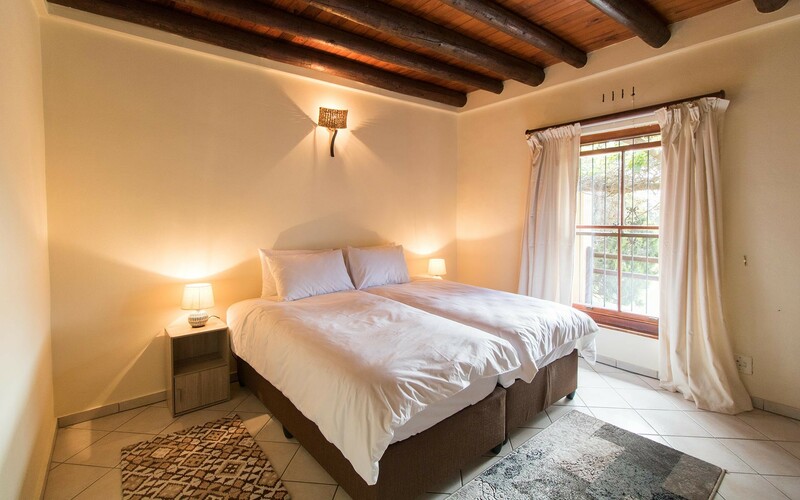 If you're a large family or group looking for accommodation in Gordons Bay, this place is perfect for you to spend your holidays. Are you looking to host a small event this holiday? Get in touch today to discuss your event. 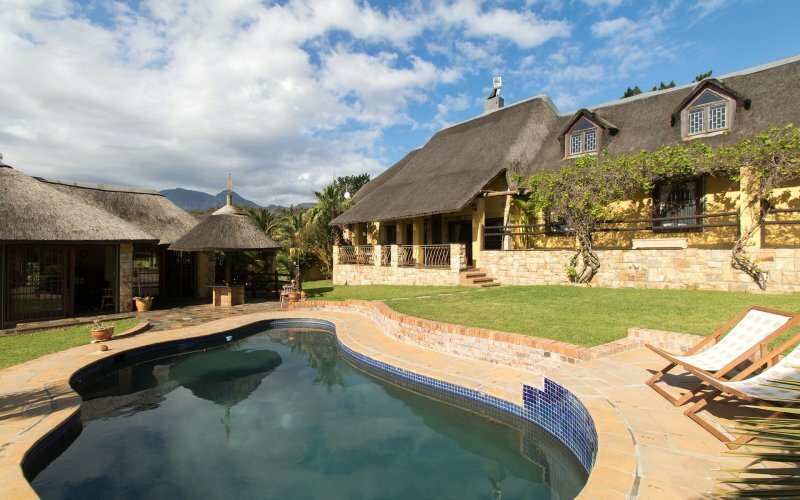 The Haveli is situated on the way to Gordons Bay, just off Sir Lowry's Pass. 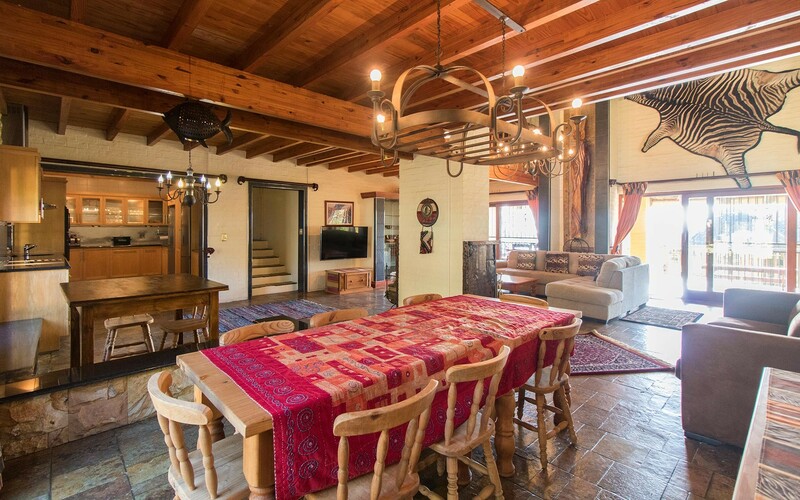 The property is 1.2 hectares, surrounded by other farms, with mountain views all around. 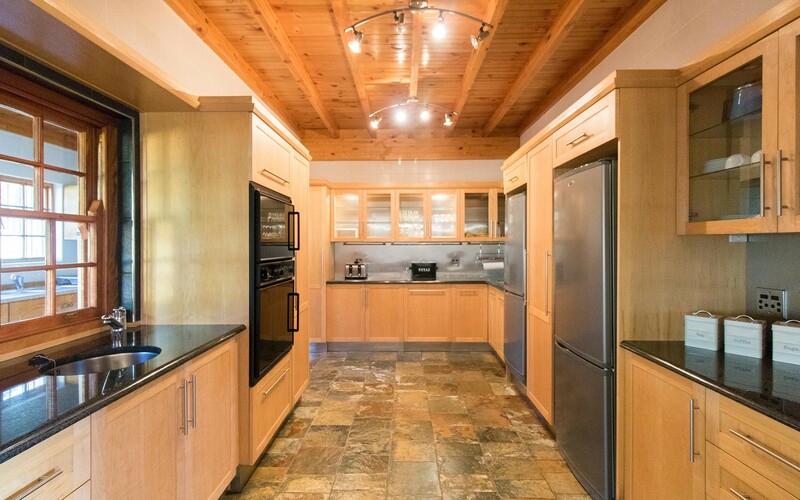 The property features a large house, which can accomodate up to 12 guests. 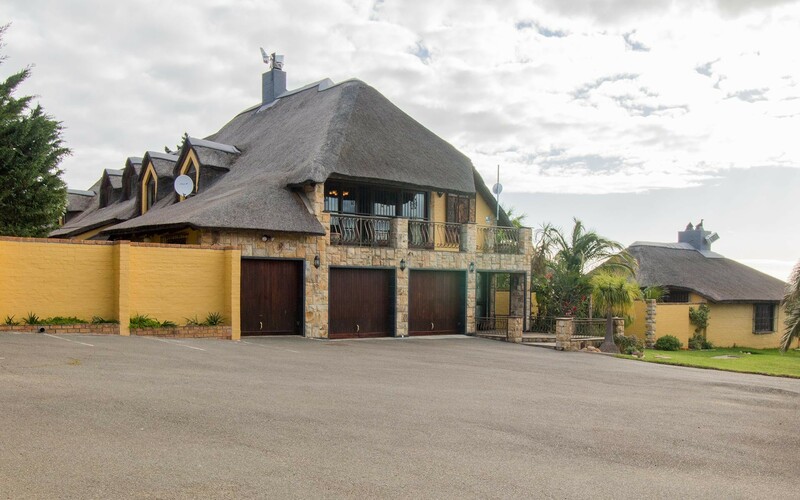 The house features African-themed wood carvings by a reputable local artist. The kitchen contains everything you need to make The Haveli your home, and includes a scullery with a washing machine. Upstairs, you can enjoy the sea views, with a mountain backdrop. 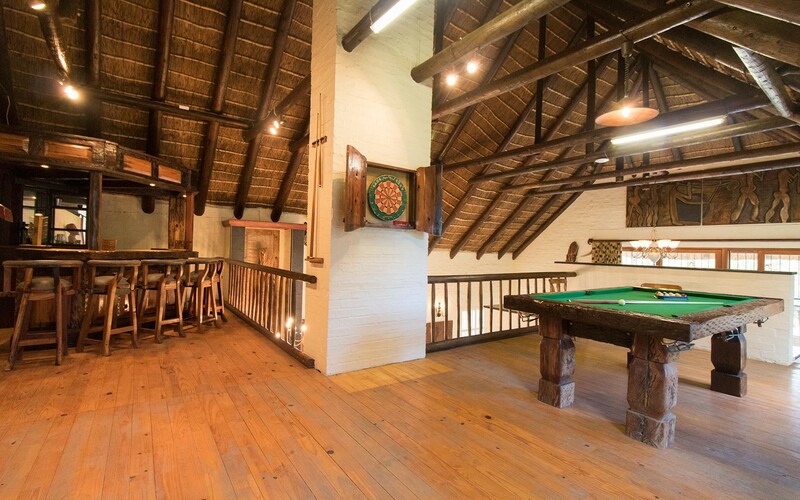 There is also a pool table and dart bored for your entertainment. The house has DSTV in the living room, and also has wireless interent throughout the house. 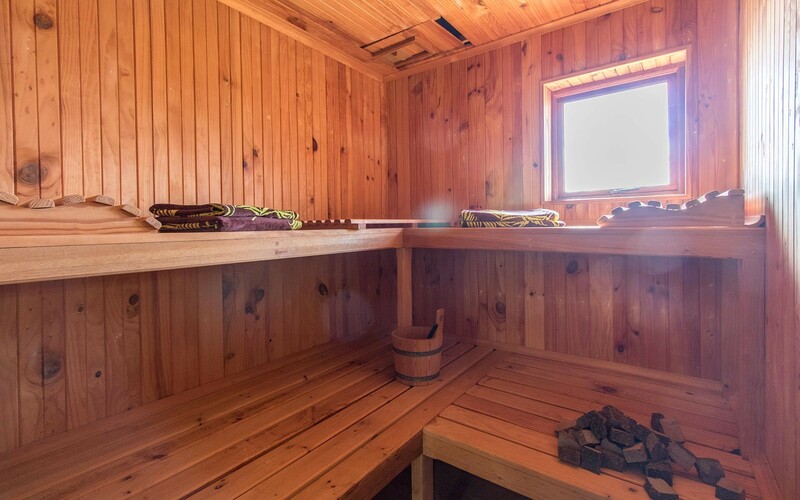 Outside, we have the entertainment building, which houses the indoor bbq, sauna, hot tub, and shower. there is also a seperate toilet. There is an outdoor pool with black marble coating to help keep the pool warm. Across the property, we have the horse stable. Our resident horses, Bounty and Texas enjoy meeting new folks, friendly with kids and pose for selfies. 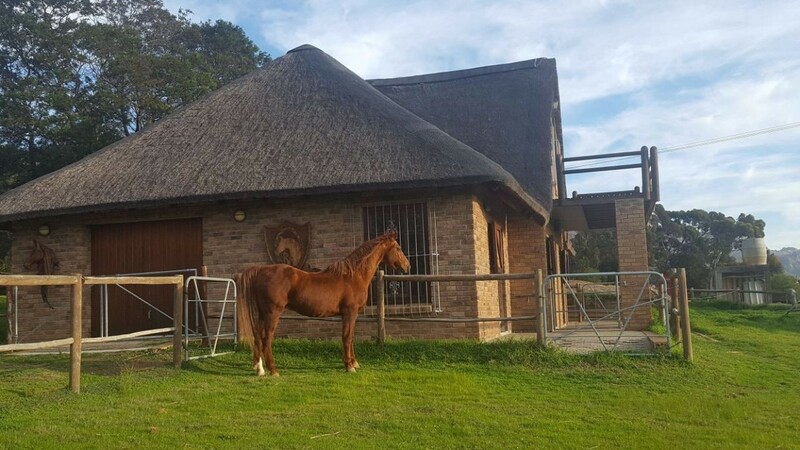 Our resident cats, Lala, Lulu and Lusi are there to keep the horses and staff company. We have two full time staff, one who lives on another part of the property. He looks after the horses and to help guests with whatever they need. The Haveli is home to plenty of birds, ranging from yellow weaver birds to rare hawk circling the property. 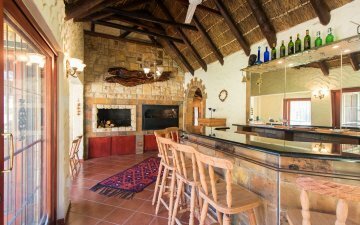 There are also a number of other wildlife, such as mongoose, large hares and rabbits, the occasional mountain fox, and of course the wild fowl. Near by, you can find the newly built Checkers supermarket, and further down you can find Woolworths and a number of eaterys. Beach Road is just under 5 mintues drive, where you can enjoy doing watersports, chilling at the beach, or grabbing the freshing calmari and chips from Trawlers. Blue Rock, a recreation centre, is located about 5 minutes from the Haveli. further down the N2, about 10 minutes further, you will find Somerset Mall. 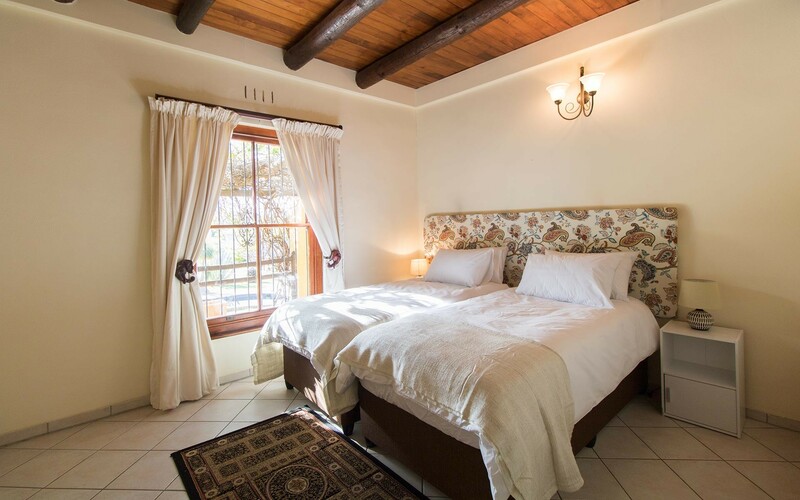 The Haveli is a sanctuary for nature lovers, 20 minutes from the airport, 40 minutes from Cape Town City Centre.